Deep Dasgupta has stated that Rishabh Pant’s keeping has developed in recent times and although he is not yet a finished article, he should be groomed well for the team’s long-term benefit. Dasgupta has also lavished praise on Ajinkya Rahane for the way he conquered the mental block straight away. Rishabh Pant’s rise in Indian cricket may not be a fairytale - for the fact that he has climbed up the ladders - but in the short duration that he has been there, he has become an integral part of the team, which was looking for a capable batsman at the No.7 position. While Wriddhiman Saha’s injury also played a part in his progress at the Test level, the 21-year-old’s Oval century and a couple of 90+ scores meant his position became very much cemented. However, his wicket-keeping ability has left a lot to be desired. He had a considerable amount of problems while keeping in the swinging conditions of England and didn’t have any clue while keeping to Kuldeep Yadav in the turning and bouncing pitches of Rajkot against the Windies. While his glovework has been bettered to a fair extent in the Adelaide Test in which he equalled England’s Jack Russell (vs South Africa at Johannesburg in 1995) and South Africa's AB de Villiers (vs Pakistan at Johannesburg in 2013) record of highest catches in a match, he spilled a few chances as well. While Dasgupta agreed that he may not be the best wicket-keeper in the country at the moment, he certainly is a product for the future and should be carefully groomed. “Obviously, Rishabh Pant has the talent and potential to be a huge match-winner, particularly as a batsman. There is not an iota of doubt in my mind. 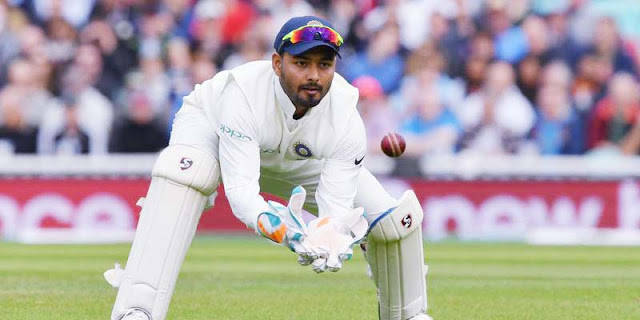 His wicket-keeping can be better, but then again, the things like his catching and collecting the ball properly has obviously developed as compared to the England tour,” Dasgupta told SportsCafe in an exclusive chat. The fire and fury of the first day at the Perth’s new Optus stadium were replaced by a consistent bounce in the third day's play and as many as 22 balls rose to hit batsmen - either on their head, gloves or body. Aaron Finch was hit on the right index finger by Mohammed Shami and retired hurt immediately, bringing the memories of the Johannesburg Test between India and South Africa alive. While the visitors' bowlers were all fire and brimstone, the odd balls darted off the cracks at angles and speeds, which made batsmen more vulnerable. Dasgupta, however, assessed it as a challenging deck and certainly not a dangerous one. “There are always ups and downs. Yes, there were quite a few people who got hurt but I would not call it a bad pitch. As per the usual Perth standards, there's always gonna be bounce and the batsmen tend to get more hits than normal. The old WACA pitch also had this quality. You wouldn’t expect the ball to stay low that much. That was the beauty of WACA,” the former Indian keeper added. 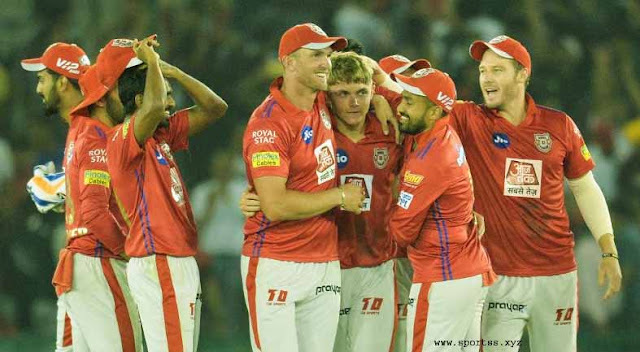 Virat Kohli edged Pat Cummins to second slip where Peter Handscomb latched on to a low chance and raised his finger to indicate that he was claiming a clean catch. While Kohli was first confident that the Aussie had grassed it, the replays were inconclusive and third umpire sided with his on-field umpire, whose soft signal was OUT. It created an outrage on Twitter and other social media, but the 41-year old, who was in commentary box in Sony’s Hindi broadcast, stated that it was a 50-50 decision, and the third umpire was right in siding with his on-field counterpart. “You can't really fault anyone because that was a 50-50 decision. It is a little ambiguous and it is open to interpretation. But if I see the whole process, it was very very difficult for the on-field umpire to see those things as well. Even after so many replays, we still are not definite about it. I think for the third umpire to stick with the field umpire was to a certain extent was correct. “The rule says, there has to be concrete evidence to overrule the on-field umpire's decision. So, I think the third umpire was correct in that incident because I don't see any clear-cut evidence where you could say it bounced. Personally, though my thought is it bounced. But again, it was a very complicated issue to say Yes or No directly. Yesterday, Ajinkya Rahane was a different beast altogether and started batting in the fifth gear from the beginning. Understanding the pitch had enough bounce to offer, he checked his drive completely and batted on his back-foot to play pull and cut shorts efficiently. Although it was an approach that was not usually shown by Rahane, Dasgupta believes that he came up with that premeditated mindset and that’s why it worked in his favour. “Rahane was very smart about the shots he played. He didn’t play a single cover drive or the straight drive till he was set. He was ready for the short-pitched balls in the initial 20-25 balls and most importantly, Australia bowled where he wanted them to bowl. So, every time they pitched it up, he defended or let the ball go. Kohli is operating at a different level altogether and scored his 25th century, sixth in Australia, today. He had to face some fine bowling by the Aussie pacers, especially Pat Cummins, on a Perth pitch that was intimidating with its bounce. While Harsha Bhogle went on to tweet that it would come among the best knocks that the Indian skipper has ever played, Dasgupta was of the opinion that after his batting majestic in England and South Africa, these centuries seem so easy for him. “Every 100 that he scores in Test cricket, there is always a story behind it. We just can’t pick one and say it is his best innings without giving proper context. The Adelaide 2014 century was a completely different century altogether. India were chasing 400-odd runs in the game and that century came under a different kind of pressure. “Maybe that pitch was not as tough as this one, or as compared to the centuries that he got this year against England and South Africa, but one thing is for sure that after those number of runs that he scored in SA and England, which is probably the toughest batting conditions I have seen in a long time, all other surfaces became too easy for him now,” the former keeper-turned-commentator concluded.